Nightly rates available upon request. A 3 night minimum stay is required. Partial week rentals may not be available during Prime Season and may not be reserved more than a week in advance. 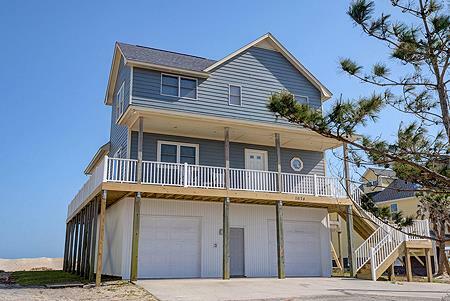 This is a beautiful oceanfront 4 bedroom 3 bath home with a large living room/dining room combination where you can enjoy a great wrap-around ocean view through sliding glass doors all around. The kitchen is well equipped with all your cooking needs. High speed internet is provided. The master bedroom has a whirlpool tub and a private balcony. All other bedrooms have either private balconies or balcony access. This is a dream home at a unbelievable price! FREE LINENS ARE PROVIDED IN PRIME SEASON ONLY, BUT ARE NOT INCLUDED WITH SPECIAL RATES OR DISCOUNTS.